Saturday Mournings is a recurring segment on Wicked Horror where we revisit some of the greatest horror-inspired cartoons from years past. 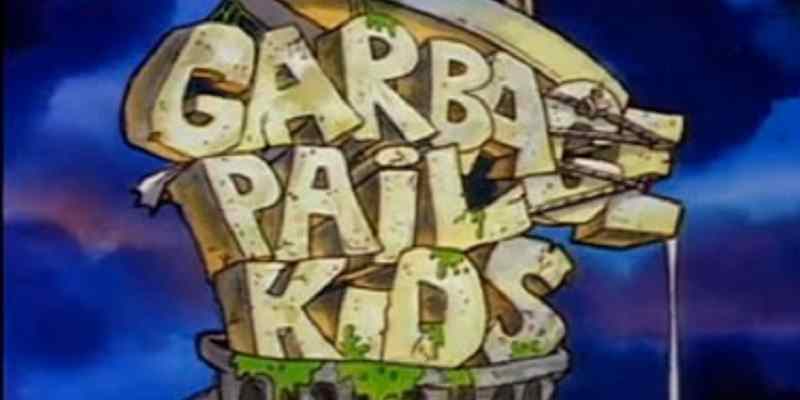 In this installment, we’re taking a fond look back at a cartoon that we never even had the opportunity to see as children: Garbage Pail Kids, The Animated Series. The Garbage Pail Kids were first introduced in 1985 by the Topps Company as a means of satirizing the Cabbage Patch Kids line of dolls that were overwhelmingly popular at the time. They were the brainchild of future Pulitzer Prize-winning cartoonist Art Spiegelman and Mark Newgarden, each card depicting a deformed mockery of the wholesomeness that the dolls represented. They were marketed primarily to boys, and were one of the contributing factors in creating a new generation of monster kids with a collector’s mentality. The first series of cards were a hit, and other sets were released fast and furiously. The Garbage Pail Kids first hit my radar with the release of series 3 in 1986, and the 7-year-old me collected them madly, setting up play dates with my cousin exclusively so we could show off our collections and make trades. I was a dyed in the wool fan. I was also a fan of cartoons—what kid wasn’t?—so I was doubly excited when I caught the news that the Garbage Pail Kids were going to be receiving their own animated series on CBS’ 1987 Saturday morning lineup. I remember scouring the TV Guide looking for the listings, which stated that it would be airing in a time slot that I no longer recall but was definitely God Awful Early. When the day finally came, I awoke before my family and scampered to the television, but lo and behold, there were no Garbage Pail Kids to be found. Instead, it was preempted by some other cartoon that is lost to memory. It wasn’t until much later that I learned the show had been fully produced but pulled from the schedule at the last minute due to pressure from parents and interest groups, and not a single episode had aired anywhere in the United States—though overseas is a different matter. Bootleg copies cropped up from time to time, but they were of negligible quality and were occasionally dubbed in foreign languages. But then, in 2006, something completely unexpected occurred. Paramount released the entire never-before-broadcast 13-episode series on DVD. The show was, interestingly enough, watered down for mass consumption despite the fact that the only audience it would have had were the same kids who were collecting the controversial trading cards to begin with. The Garbage Pail Kids were no longer quite as grotesque, quite as disgusting, or quite as offensive as their cardboard counterparts. In fact, there were moments that were downright saccharine. What were parents in such a huff about, anyway? These kids actually saved Christmas in one episode, for Pete’s sake! We 1980s kids would have gotten it, but the Fresh Prince was right. Parents just don’t understand. The opening theme song is full of nonsensical vocalizations, but it rocks really freakin’ hard and is easily the best thing to come out of the DVD release. 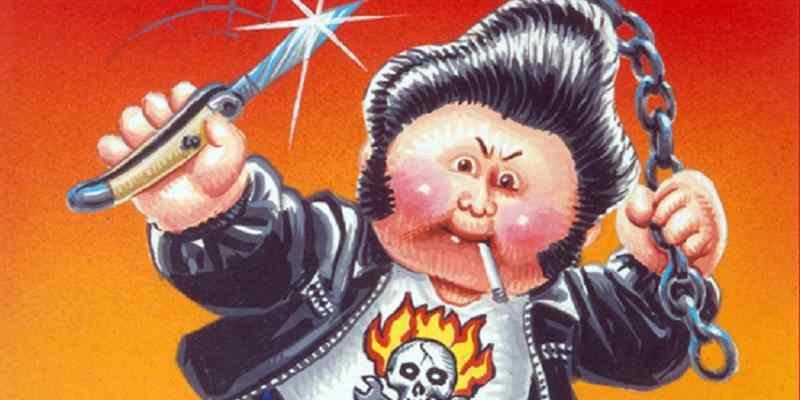 There’s a punk rock edge to it that would’ve been beyond my kin as a child, seeing as how the only music I listened to at the time other than Weird Al was the oldie station—why do you think Greaser Greg is my all-time favorite GPK? If nothing else, hunt down the opening credits sequence and prepare to be singing that song for days. The construct of the show is actually pretty brilliant. It is broken up into two main parts: the first one is a standalone adventure that is ostensibly playing at a movie theater, and it typically spoofs a specific movie or a particular type of film. Among the movies ribbed in these segments were Indiana Jones (“Idaho Spud and the Temple of Trash”), Conan (“Savage Stewart the Barbarian”), and The Fly (“The Fry”). The best among them, though, were “Oops! The Disaster Movie” which placed a heavy emphasis on Jaws, and “R.A.L.F.”, which mimicked family friendly alien fare like E.T. and ALF. In fact, the latter easily could have (and should have) been spun off into its own series and parents would’ve been none the wiser. These “movie” segments allowed the creators of the show to freely explore the larger Garbage Pail Kid universe—they would have had over 300 different characters in the GPK canon to draw from at this point, after all. I still got excited when a character I recognized showed up, even if just in the background, so I can only imagine how I would’ve reacted as a kid. 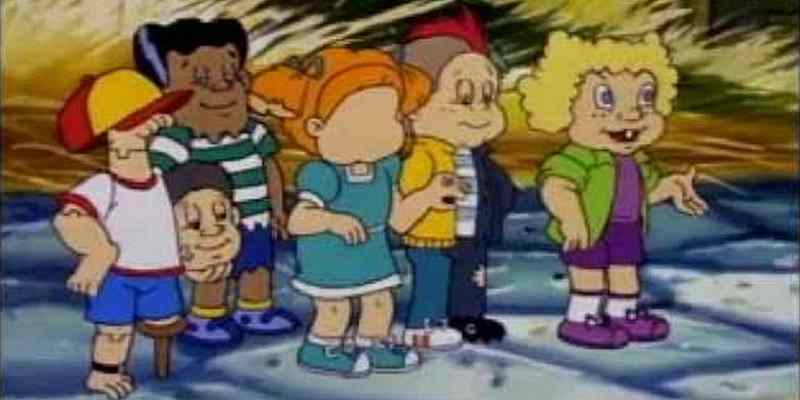 The second half of the show featured a set of recurring characters—the primary Garbage Pail Kids, at least in this incarnation. You would expect them to be the same characters that would show up in the live action movie released the same year as the episodes were slated to air, but instead they went a different route. They gave us five different GPK’s who, although not always the most interesting choices, still managed to work pretty well together in the end. In the first two episodes of the series, all five of these characters had normal human identities, but would change into their Garbage Pail Kid roles whenever their assistance was needed. As such, they were placed in something of a superheroic light right off the bat, though from episode three onward, they were only ever seen in their transformed state. In order to extrapolate some semblance of an origin story for their unique abilities (and every superhero must have an origin story), in some cases it’s necessary to view their trading card as their first appearance. Clogged Duane was a normal child until a freak bathing accident caused him to be sucked down the drain—a real case of throwing out the baby with the bath water. Ever since, he has had the ability to transmogrify himself into liquid form. Patty Putty was first seen as an infant wearing a diaper and showing her unnaturally pliable face. Likely she was born with this ability, and has since learned to control it. Now, she has stretching powers very similar in vein to Mr. Fantastic from the Fantastic 4. Split Kit is your average kid on the left side of his body, and a vicious punk rocker thug on his right. In his first appearance, he carried a pistol but he left it at home for the television series. He appears to be very tough and super strong—at least, half of him does. One can only assume that this was a Jekyll/Hyde experiment gone wrong. Elliot Mess must’ve suffered from some terrible industrial accident, which was made even worse by the hack surgeon that put him back together. He’s got a hand where his foot should be, a foot where his head should be, and a head where his hand should be. His mixed-up body parts can sometimes be rearranged or removed all together—which surely must come in handy some time. The adventures they go on are predictably wacky, but that’s the only way that they’re predictable. Whether they’re rescuing a talking jalopy from the clutches of a fancy-pants millionaire, visiting a haunted house, or traveling to the land of Oz—or, rather, the land of Odd—you can expect madcap antics all the way through. I can only imagine that if a season two had ever been produced, our horrific heroes would have traveled to an alternate universe where they met evil doppelgängers of themselves—because as we all know, each Garbage Pail Kid card was released under two names. Split Kit was also known as Mixed-Up Mitch, Clogged Duane was also known as Bye Bye Bobby, Terri Cloth was also known as Dee Faced, etc. But alas, such an epic adventure was never meant to be. I freely admit that a certain degree of nostalgia likely colors my assessment of the show, but I found it much more fun than I thought I would—especially considering I’m a lot closer to 40 than I am to 14. The first episode was pretty rough, but don’t let that dissuade you from watching further. It found its footing quickly enough, and had it been given a proper chance, would’ve been a guaranteed moneymaker for everyone involved. At least until the inevitable GPK implosion. In 2012, it was announced that the director known as PES would be helming an all new (likely computer animated) Garbage Pail Kids movie for The Torante Company. In 2014, PES stated that it was in a “holding pattern” but still in the works. Until that sees the light of day, there are a few other projects to keep the GPK fan interested. Although the cards themselves were initially discontinued in 1988 due to declining interest, they returned in 2003 and are still produced with some regularity today. 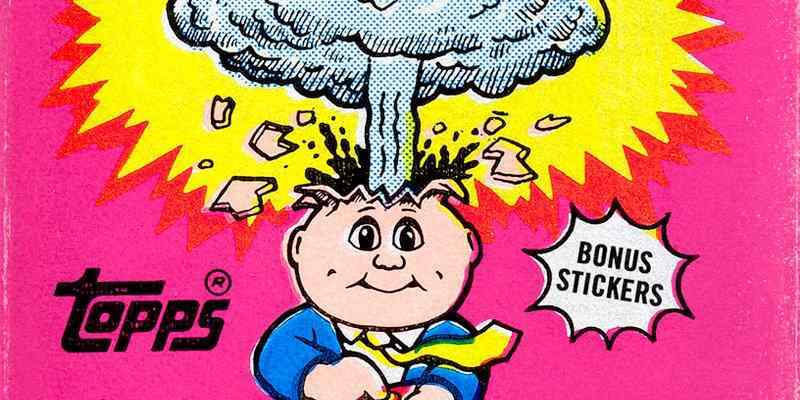 Furthermore, publisher IDW released a Garbage Pail Kid one-shot comic book late last year, and promises that there are more on the horizon. And finally, current GPK artist Joe Simko and filmmaker Sean Tiedeman are currently putting together the ultimate, unauthorized Garbage Pail Kids documentary with funds that were crowdsourced by fans. 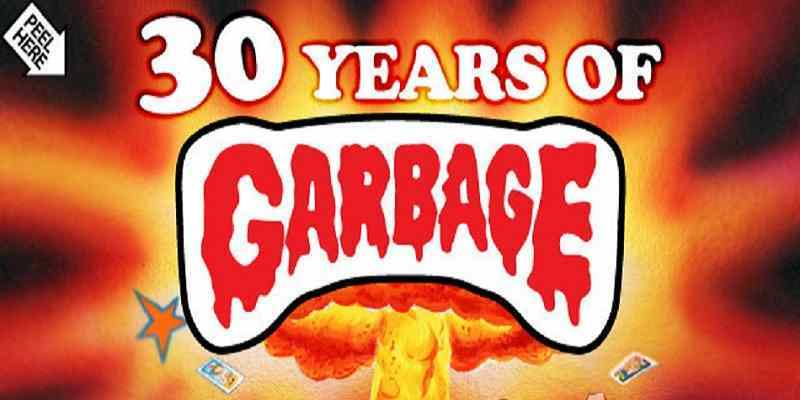 30 Years of Garbage: The Garbage Pail Kids Story is set to be released later this year. Check out our interview with Sean Tiedeman discussing the doc here.